We know the sport. We know the video game. We know the importance of FIFA 17 Coins. Now, it is time to find out where all the awesomeness was created. Look at the place. They have their own football field! Not only they get paid to play the most popular sports video game, they can also play the world’s most popular sport in their office! How great is that?! 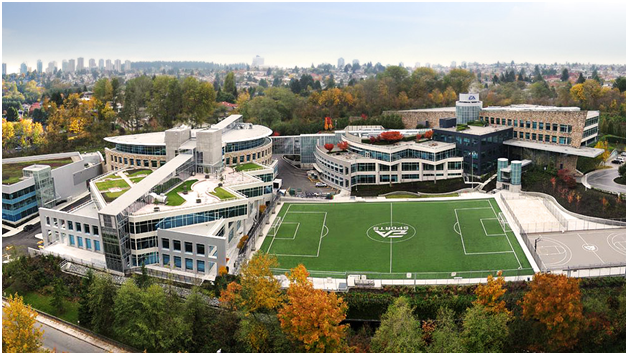 EA Vancouver is now one in the list of places I want to work in. Even if you are not a football fan, the architecture alone is overwhelming. It is like you should allot one day of the week to just walk around and appreciate the place. Oh look, there is a basketball court as well for those NBA Live fans. Of course, the football court isn’t just a place to play. This is also the place to welcome the professional football players who will be doing the work in the motion capture of every FIFA game. 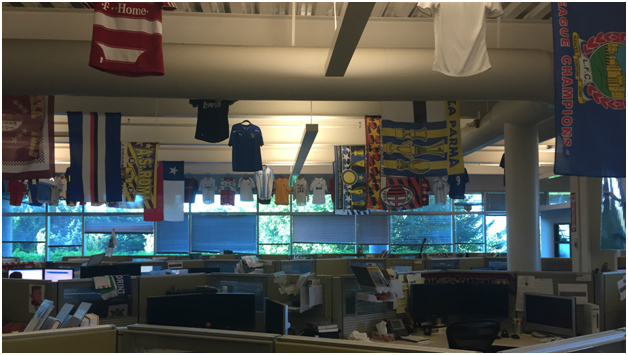 Being the headquarters of FIFA, of course they will not be short of football apparels and collectibles. Any football fan will drool once they get to see these in person. 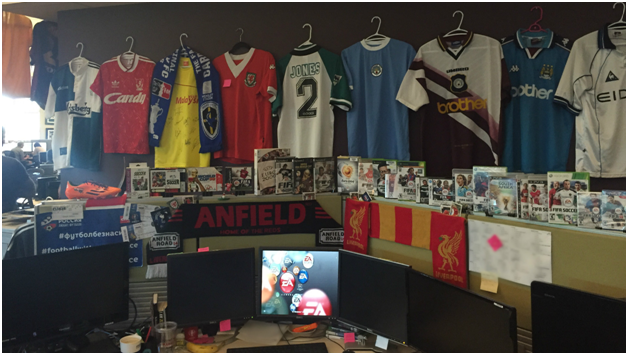 Jerseys, flags, old versions of FIFA in different consoles, you cannot see them anywhere else in this volume.